Astronomy from Antarctica: this is the last great frontier for ground-based astronomy. Our group at UNSW has been leading the Australian push to establish an optical/infrared telescope on the Antarctic plateau and has successfully run instruments at the US Amundsen-Scott South Pole station since 1994. I have traveled to Antarctica to work on astronomical experiments in 1995, 1998, 2001, 2004, and 2011 (click on the links for my diaries of these trips). Ten of our graduate students have been to the Pole during this time. Robotic telescopes: I am collaborating with Craig Kulesa from the University of Arizona on HEAT, a 0.6m terahertz telescope at Ridge A in Antarctica. I am collaborating with a colleagues in China on AST3, a 0.5m optical telescope at Dome A in Antarctica. I am collaborating with Annd Moore from Caltech on Gattini-SPUV, an ultraviolet camera at the US Amundsen Scott South Pole station. I run the UNSW Automated Patrol Telescope, at Siding Spring Observatory, about 500 km from Sydney. As of 2012, The Automated Patrol Telescope is currently off-line pending hardware upgrades. It was most recently used to conduct searches for transiting planets). I also collaborate with Prof. Carl Akerlof's group (University of Michigan) on a 3rd-generation robotic telescope, ROTSE-IIIa. The photo shows, from left to right, the Upsalla, ROTSE-IIIa, and the Automated Patrol Telescope. ROTSE-IIIa has successfully detected several optical transients from gamma ray bursts. 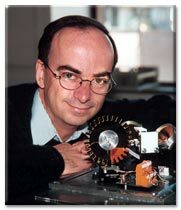 Instrumentation & computing: my long term interests include electronics, optics, and computing (both computer hardware and software) with the goal of building new and interesting astronomical instruments. I have been a contributor to the Linux kernel, and program mostly in C, Java, perl, and python. I am currently the Postgraduate Coordinator for the School of Physics. Prospective postgraduate students should read this webpage. Most of my teaching material is on-line for UNSW students only. The first link below is one exception, and contains some interesting programs written in C.
PHYS2020 Computational Physics, a course I wrote in 2004. I would now recommend python instead of C for such a course. PHYS3630 Electronics, hasn't run since 2006. GENS4001 Astronomy, since replaced with an on-line course. I am a matchmaker for the Climate Science Rapid Response Team. Room 137, first floor, Old Main Building. The Old Main Building is directly in front of you when you enter UNSW from Gate 14, Barker Street. When you get to the first floor you will need to enter the locked glass doors of the Astro Dept - use the phone on the wall to dial my extension 55465. I am sorry, but I do not have any money available to pay for your travel/visa/accommodation/scholarship/university fees/living expenses/medical insurance etc. I will only reply to e-mails if (1) you have your own funding, and (2) provide evidence of an exceptionally strong undergraduate record. You should also search the UNSW website for information on Practicums. 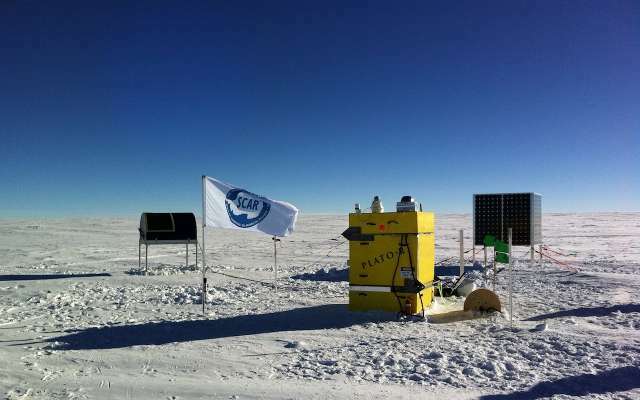 PLATO-R, the PLATeau Observatory for Ridge A, is a self-contained automated platform for conducting year-round experiments completely robotically from the Antarctic plateau. It is the result of a scientific collaboration between the University of Arizona and the University of New South Wales. PLATO-R runs without any human intervention on site. In fact, the closest person is 928 km away and there is no possibility of any maintenance to PLATO-R until January 2013. PLATO-R has to generate its own electricity and heat, and is responsible for its own internet connectivity. The observatory supports HEAT, a 0.6m terahertz telescope built by the University of Arizona. PLATO-R was taken to Ridge A by members of the University of Arizona and University of New South Wales, over a three day period beginning on 20 January 2012. PLATO, the PLATeau Observatory for Dome A, is a collaboration between our group at the University of New South Wales and a number of institutions in China and the US. With my PhD student George Georgevits and Will Saunders of the Anglo-Australian Observatory, we believe we have detected the signature of hundreds of Kuiper Belt Objects through stellar occultations. George presented the results at a workshop in Catania in early July 2006. More details are in this News Focus article from Science, and in my interview on Robyn Williams' Science show. Image credit: DAN DURDA/FIAAA showing the collision between two Kuiper Belt Objects. On 5 June 2006, the UNSW ROTSE-IIIa telescope at Siding Spring Observatory responded to an alert from the Swift satellite and within 5.4 seconds had taken its first image. We reported our detection to the GCN e-mail exploder within 9 minutes. The figure shows the ROTSE-IIIa observations in red, the Swift/BAT gamma-ray observations in blue, and the Swift x-ray observations in green. This is just one of a handful of gamma-ray bursts that have been observed in the optical at such early times. The burst has a redshift of 3.8. Here is the light curve of UNSW TR-2, obtained with the Automated Patrol Telescope. Spectroscopic follow-up shows that this is an eclipsing binary system with two K7Ve stars. Only 6 other similar systems are known that give well-constrained radii and masses for such low mass stars. This is important since theory underestimates the radii of these stars by 10%. UNSW TR-2 also shows an asymmetry in the timing of the secondary eclipse that could be due to the presence of a planetary system. More details are in our MNRAS paper Young et al., 2006, A New Detached K7 Dwarf Eclipsing Binary System, MNRAS, 370, 1529–1533. 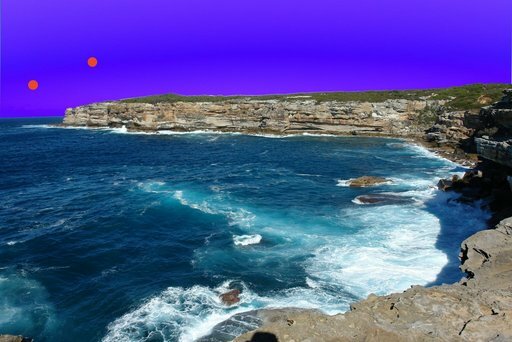 The following image shows what the binary star system UNSW-TR-2 could look like rising above the Malabar headland in Sydney. The star diameters, separation, and colours are approximately correct. Using a completely robotic observatory, the AASTINO, built at UNSW, we made the first wintertime astronomical seeing measurements from Dome C in 2004. These showed that the average seeing was 0.27 arcseconds, and the seeing was better than 0.15 arcseconds for 25% of the time. More details are in our Nature paper: Lawrence, Ashley, Tokovinin, and Travouillon, 2004, Exceptional astronomical seeing conditions above Dome C in Antarctica, Nature, 431, 278–281, and on our web site. The AASTINO is the green structure in the image below, which shows Concordia station at Dome C, Antarctica. The image on the left below is a simulation of a star field as observed from the best existing observatory sites; the image in the middle is the same star field as observed from Dome C. To see as many stars from a mid-latitude observatory, you would need to build a telescope 2.5 times bigger, which would cost ten times as much, and would give the image on the right, which makes the stars look brighter but doesn't improve the sharpness of the image. [P1] Ashley, M. C. B., 2003, CCD readout method, Australian patent 759445. [A122] Wang, L., Macri, L. M., Krisciunas, K., Wang, L., Ashley, M. C. B., Cui, X., Feng, L.-L., Gong, X., Lawrence, J. S., Liu, Q., Luong-Van, D., Pennypacker, C. R., Shang, Z., Storey, J. W. V., Yang, H., Yang, J., Yuan, X., York, D. G., Zhou, X., Zhu, Z., 2011, Photometry of Variable Stars from Dome A, Antarctica, The Astronomical Journal, 142, 155. [A111] Yang, H., Kulesa, C. A., Walker, C. K., Tothill, N. F. H., Yang, J., Ashley, M. C. B., Cue, X., Feng, L., Lawrence, J. S., Luong-Van, D. M., Storey, J. W. V., Wang, L., Zhou, X., and Zhu, Z., 2010, Exceptional terahertz transparency and stability above Dome A, Antarctica, Publications of the Astronomical Society of the Pacific, 122, 490–494. [A110] Yuan, F., Schady, P., Racusin, J. L., Willingale, R., Kruhler, T., O'Brien, P. T., Greiner, J., Oates, S. R., Rykoff, E. S., Aharonian, F., Akerlof, C. W., Ashley, M. C. B., Barthelmy, S. D., Filgas, R., Flewelling, H. A., Gehrels, N., Göğüş, E., Güver, T., Horns, D., Kızıloğlu, Ü., Krimm, H. A., McKay, T. A., Özel, M. E., Phillips, A., Quimby, R. M., Rowell, G., Rujopakarn, W., Schaefer, B. E., Vestrand, W. T., Wheeler, J. C., Wren, J., 2010, GRB 081008: from burst to afterglow and the transition phase in between, Astrophysical Journal, 711, 870–880. [A109] Zhou, X., Fan, Z., Jiang, Z., Ashley, M. C. B., Cui, X., Feng, L., Gong, X., Hu, J., Kulesa, C. A., Lawrence, J. S., Liu, G., Luong-Van, D. M., Ma, J., Moore, A. M., Qin, W., Shang, Z., Storey, J. W. V., Sun, B., Travouillon, T., Walker, C. K., Wang, J., Wang, L., Wu, J., Wu, Z., Xia, L., Yan, J., Yang, J., Yang, H., Yuan, X., York, D., Zhang, Z., Zhu, Z., 2010, The First Release of the CSTAR Point Source Catalog from Dome A, Antarctica, Publications of the Astronomical Society of the Pacific, 122, 347–353. [A108] Hengst, S., Luong-Van, D. M., Everett, J. R., Lawrence, J. S., Ashley, M. C. B., Castel, D., and Storey, J. W. V., 2009, A small, high-efficiency diesel generator for high-altitude use in Antarctica, International Journal of Energy Research, DOI: 10.1002/er.1995. [A107] Bonner, C. S., Ashley, M. C. B., Lawrence, J. S., Luong-Van, D. M., and Storey, J. W. V., 2009, Snodar: An acoustic radar for atmospheric turbulence profiling with 1m resolution, Acoustics Australia, 37, 47–51. [A106] Lawrence, J. S., Ashley, M. C. B., Hengst, S., Luong-Van, D. M., Storey, J. W. V., Yang, H., Zhou, X., and Zhu, Z., 2009, The PLATO Dome A site testing observatory: power generation and control systems, Review of Scientific Instruments, 80, 064501-1–064501-10. [A98] Yang, H., Allen, G., Ashley, M.C.B., Bonner, C.S., Bradley, S., Cui, X., Everett, J.R., Feng, L., Gong, X., Hengst, S., Hu, J., Jiang, Z., Kulesa, C.A., Lawrence, J.S., Li, Y., Luong-Van, D., McCaughrean, M.J., Moore, A.M., Pennypacker, C., Qin, W., Riddle, R., Shang, Z., Storey, J.W.V., Sun, B., Suntzeff, N., Tothill, N.F.H., Travouillon, T., Walker, C.K., Wang, L., Yan, J., Yang, J., York, D., Yuan, X., Zhang, X., Zhang, Z., Zhou, X., and Zhu, Z., 2009, The PLATO Dome A Site-Testing Observatory: Instrumentation and First Results, Publications of the Astronomical Society of the Pacific, 121, pp.174–184. [A97] Lawrence, J., Ashley, M., Storey, J., Jolissiant, L, and Travouillon, T., 2008, Adaptive optics sky coverage for Dome C telescopes, Publications of the Astronomical Society of the Pacific, 120, pp.1119–1127. [A94] Hengst, S., Allen, G. R., Ashley, M. C. B., Everett, J. R., Lawrence, J. S., Luong-Van, D. M., and Storey, J. W. V., 2008, PLATO power: a robust low environmental impact power generation system for the Antarctic plateau, Proc. SPIE, 7012, 70124E-1–70124E-10. [A93] Miziarski, S., Ashley, M. C. B., Smith, G., Barden, S., Dawson, J., Horton, A., Saunders, W., Brzeski, J., Churilov, V., Klauser, U., Waller, L., Mayfield, D., Correll, D., Phillips, A., and Whittard, D., 2008, Big innovations in a small instrument: technical challenges in a new CCD system design for the Automated Patrol Telescope, Proc. SPIE, 7018, 70184G-1–70184G-10. [A92] Bonner, C. S., Ashley, M. C. B., Lawrence, J. S., Storey, J. W. V., Luong-Van, D. M., and Bradley, S. G., 2008, Snodar: a new instrument to measure the height of the boundary layer on the Antarctic plateau, Proc. SPIE, 7014, 70146I-1–70146I-7. [A91] Kulesa, C. A., Walker, C. K., Schein, M., Golish, D., Tothill, N., Siegel, P., Weinreb, S., Jones, G., Bardin, J., Jacobs, K., Martin, C. L., Storey, J., Ashley, M., Lawrence, J., Luong-Van, D., Everett, J., Wang, L., Feng, L., Zhu, Z., Yan, J., Yang, J., Zhang, X.-G., Cui, X., Yuan, X., Hu, J., Xu, Z., Jiang, Z., Yang, H., Li, Y., Sun, B., Qin, W., and Shang, Z., 2008, Pre-HEAT: submillimeter site testing and astronomical spectra from Dome A, Antarctica, Proc. SPIE, 7012, 701249-1–701249-11. [A90] Lawrence, J. S., Allen, G. R., Ashley, M. C. B., Bonner, C., Bradley, S., Cui, X., Everett, J. R., Feng, L., Gong, X., Hengst, S., Hu, J., Jiang, Z., Kulesa, C. A., Li, Y., Luong-Van, D., Moore, A. M., Pennypacker, C., Qin, W., Riddle, R., Shang, Z., Storey, J. W. V., Sun, B., Suntzeff, N., Tothill, N. F. H., Travouillon, T., Walker, C. K., Wang, L., Yan, J., Yang, J., Yang, H., York, D., Yuan, X., Zhang, X. G., Zhang, Z., Zhou, X., and Zhu, Z., 2008, The PLATO Antarctic site testing observatory, Proc. SPIE, 7012, 701227-1–701227-12. [A89] Moore, A., ..., Ashley, M. C. B., ... (47 other authors), 2008, Gattini: a multisite campaign for the measurement of sky brightness in Antarctica, Proc. SPIE, 7012, 701226-1–701226-10. [A87] Christiansen, J. L., Derekas, A., Ashley, M. C. B., Webb, J. K., Hidas, M. G., Hamacher, D. W., and Kiss, L. L., 2007, The first high-amplitude δ Scuti star in an eclipsing binary system, MNRAS, 382, 239–244. [A82] Lawrence, J. S., Ashley, M. C. B., Burton, M. G., and Storey, J. W. V., 2007, Dome C atmospheric conditions: implications for astronomy, Acta Astronomica Sinica, 48, 48–53. [A81] Yost, S. A., Aharonian, F.,Akerlof, C. W., Ashley, M. C. B., Barthelmy, S., Gehrels, N., Göğüş, E., Güver, T., Horns, D., Kızıloğlu, U., Krimm, H. A., McKay, T. A., Özel, M., Phillips, A., Quimby, R. M., Rowell, G., Rujopakarn, W., Rykoff, E. S., Schaefer, B. E., Smith, D. A., Swan, H. F., Vestrand, W. T., Wheeler, J. C., Wren, J., and Yuan, F., 2006, Status of the ROTSE-III telescope network, Astronomische Nachrichten, 327, 803–805. [A80] Shankland, P. D., Rivera, E. J., Laughlin, G., Blank, D. L., Price, A., Gary, B., Bissinger, R., Ringwald, F., White, G., Henry, G. W., McGee, P., Wolf, A. S., Carter, B., Lee, S., Biggs, J., Monard, B., and Ashley, M. C. B., 2006, On the search for transits of the planets orbiting Gl 876, Astrophysical Journal, 653, 700–707. [A79] Moore, A., Aristidi, E., Ashley, M., Busso, M., Candidi, M., Everett, J., Kenyon, S., Lawrence, J., Luong-Van, D., Phillips, A., Le Roux, B., Ragazzoni, R., Salinari, P., Storey, J., Taylor, M., Tosti, G., and Travouillon, T., 2006, Ground-layer turbulence profiling using a lunar SHABAR, Proc. SPIE, 6269, 62695U-1–62695U-9. [A78] Young, T. B., Hidas, M. G., Webb, J. K., Ashley, M. C. B., Chistiansen, J. L., Derekas, A. and Nutto, C., 2006, A New Detached K7 Dwarf Eclipsing Binary System, MNRAS, 370, 1529–1533. [A77] York, D. G., Wang, L., Pennypacker, C., Cui, X., Cappellaro, E., Blouke, M., Lamb, D., Storey, J. W. V., Malina, R., Ashley, M. C. B., Basa, S., Zhou, X., Hu, J., Yuan, X., Harper, D., Sandford, D., Lawrence, J. S., and Thorburn, J., 2006, A large array of telescopes in Antarctica with all-sky imaging every 5 seconds, Proc. SPIE, 6267, 62671F-1–62671F-16. [A76] Kenyon, S. L., Ashley, M. C. B., Everett, J. R., Lawrence, J. S., and Storey, J. W. V., 2006, Nigel and the optical sky brightness at Dome C, Antarctica, Proc. SPIE, 6267, 62671M-1–62671M-9. [A75] Moore, A., Aristidi, E., Ashley, M., Busso, M., Candidi, M., Everett, J., Kenyon, S., Lawrence, J., Luong-Van, D., Phillips, A., Le Roux, B., Ragazzoni, R., Salinari, P., Storey, J., Taylor, M., Tosti, G., and Travouillon, T., 2006, The Gattini cameras for optical sky brightness measurements in Antarctica, Proc. SPIE, 6267, 62671N-1–62671N-11. [A74] Lawrence, J. S., Ashley, M. C. B., , Burton, M. G., Cui, X., Everett, J. R., Indermuehle, B. T., Kenyon, S. L., Luong-Van, D., Moore, A. M., Storey, J. W. V., Tokovinin, A., Travouillon, T., Pennypacker, C., Wang, L., and York, D., 2006, Site testing Dome A, Antarctica, Proc. SPIE, 6267, 62671L-1–62671L-9. [A73] Storey, J. W. V., Angel, J. R. P., Lawrence, J. S., Hinz, P., Ashley, M. C. B., and Burton, M. G., 2006, LAPCAT: the Large Antarctic Plateau Clear-Aperture Telescope, Proc. SPIE, 6267, 62671E-1–62671E-11. [A72] Kenyon, S. L., Lawrence, J. S., Ashley, M. C. B., Storey, J. W. V., Tokovinin, A., and Fossat, E., 2006, Atmospheric scintillation at Dome C, Antarctica: implications for photometry and astrometry, Publications of the Astronomical Society of the Pacific, 118, 924–932. [A71] Quimby, R. M., Rykoff, E. S., Yost, S. A., Aharonian, F., Akerlof, C. W., Alatalo, K., Ashley, M. C. B., Göğüş, E., Güver, T., Horns, D., Kehoe, R. L., Kızıloğlu, U., Mckay, T. A., Özel, M., Phillips, A., Schaefer, B. E., Smith, D. A., Swan, H. F., Vestrand, W. T., Wheeler, J. C., and Wren, J., 2006, Early-Time Observations of the GRB 050319 Optical Transient, Astrophysical Journal, 640, 402–406. [A70] Rykoff, E. S., Mangano, V., Yost, S. A., Sari, R., Aharonian, F., Akerlof, C. W., Ashley, M. C. B., Barthelmy, S. D., Burrows, D. N., Gehrels, N., Göğüş, E., Güver, T., Horns, D., Kızıloğlu, U., Krimm, H. A., McKay, T. A., Özel, M., Phillips, A., Quimby, R. M., Rowell, G., Rujopakarn, W., Schaefer, B. E., Smith, D. A., Swan, H. F., Vestrand, W. T., Wheeler, J. C., Wren, J., and Yuan, F., 2006, The Anomalous Early Afterglow of GRB 050801, Astrophysical Journal, 638, L5–8. [A69] Yost, S. A., Alatalo, K., Rykoff, E. S., Aharonian, F., Akerlof, C. W., Ashley, M. C. B., Blake, C. H., Bloom, J. S., Boettcher, M., Falco, E. E., Göğüş, E., Güver, T., Halpern, J. P., Horns, D., Joshi, M., Kızıloğlu, U., McKay, T. A., Mirabal, N., Özel, M., Phillips, A., Quimby, R. M., Rujopakarn, W., Schaefer, B. E., Shields, J. C., Skrutskie, M., Smith, D. A., Starr, D. L., Swan, H. F., Szentgyorgyi, A., Vestrand, W. T., Wheeler, J. C., and Wren, J., 2006, Optical Light Curve and Cooling Break of GRB 050502A, Astrophysical Journal, 636, 959–966. [A68] Rykoff, E. S., Yost, S. A., Krimm, H. A., Aharonian, F., Akerlof, C. W., Alatalo, K., Ashley, M. C. B., Barthelmy, S. D., Gehrels, N., Göğüş, E., Güver, T., Horns, D., Kızıloğlu, U., McKay, T. A., Özel, M., Phillips, A., Quimby, R. M., Rujopakarn, W., Schaefer, B. E., Smith, D. A., Swan, H. F., Vestrand, W. T., Wheeler, J. C., and Wren, J., 2005, Prompt Optical Detection of GRB 050401 with ROTSE-IIIa, Astrophysical Journal, 631, L121–124. [A67] Hidas, M. G., Ashley, M. C. B., Webb, J. K., Irwin, M., Phillips, A., Toyozumi, H., Derekas, A., Christiansen, J. L., Nutto, C., and Crothers, S., 2005, The University of New South Wales Extrasolar Planet Search: methods and first results from a field centred on NGC 6633, MNRAS, 360, 703–717. [A66] Phillips, A. and Ashley, M. C. B., 2005, Cloud imaging from meteorological satellites and its application to robotic observing, Publications of the Astronomical Society of Australia, 22, 306–310. [A65] Burton, M. G., Lawrence, J., Ashley, M. C. B., Bailey, J. A., Blake, C., Bedding, T. R., Bland-Hawthorn, J., Bond, I. A.,Glazebrook, K., Hidas, M. G., Lewis, G., Longmore, Maddison, S. T., Mattila, S., Minier, V., Ryder, S. D., Sharp, R., Smith, C. H., Storey, J. W. V., Tinney, C. G., Tuthill, P., Walsh, A. J., Walsh, W., Whiting, M., Wong, T., Woods, D. and Yock, P. C. M., 2005, Science Programs for a 2m-class Telescope at Dome C, Antarctica: PILOT, the Pathfinder for an International Large Optical Telescope, Publications of the Astronomical Society of Australia, 22, 199–235. [A64] Toyozumi, H. and Ashley, M. C. B., 2005, Intra-pixel sensitivity variation, charge transfer inefficiency—results of CCD scans, Publications of the Astronomical Society of Australia, 22, 257–266. [A63] Lawrence, J. S., Ashley, M. C. B., and Storey, J. W. V., 2005, A remote, autonomous laboratory for Antarctica with hybrid power generation, Australian Journal of Electrical and Electronics Engineering, 2, 1–12. [A62] Rykoff, E. S., Aharonian, F., Akerlof, C. W., Alatalo, K., Ashley, M. C. B., Güver, T., Horns, D., Kehoe, R. L., Kızıloğlu, U., McKay, T. A., Özel, M., Phillips, A., Quimby, R. M., Schaefer, B. E., Smith, D. A., Swan, H. F., Vestrand, W. T., Wheeler, J. C., Wren, J., and Yost, S. A., 2005, A search for untriggered GRB afterglows with ROTSE-III, Astrophysical Journal, 631, 1032–1038. [A61] Lawrence, J. S., Ashley, M. C. B., Tokovinin, A., and Travouillon, T., 2004, Exceptional astronomical seeing conditions above Dome C in Antarctica, Nature, 431, 278–281. [A60] Rykoff, E. S., Smith, D. A., Price, P. A., Akerlof, C. W., Ashley, M. C. B., Bizyaev, D., Garradd, G. J., McKay, T. A., McNaught, R. H., Phillips, A., Quimby, R., Schaefer, B., Schmidt, B., Vestrand, W. T., Wheeler, J. C., and Wren, J., 2004, The Early Optical Afterglow of GRB 030418 and Progenitor Mass Loss, Astrophysical Journal, 601, 1013–1018. [A59] Rykoff, E. S., Akerlof, C. W., Ashley, M. C. B., Göğüş, E., Güver, T., Kızıloğlu, U., McKay, T. A., Özel, M., Phillips, A., Quimby, R., Smith, D. A., Thorstensen, J. R., Vestrand, W. T., Wheeler, J. C., and Wren, J., 2004, Discovery of CVs ROTSE3 J151453.6+020934.2 and ROTSE3 J221519.8-003257.2, Information Bulletin on Variable Stars, 5559, 1. [A58] Calisse, P. G., Ashley, M. C. B., Burton, M. G., Phillips, M. A., Storey, J. W. V., Radford, S. J. E., and Peterson, J. 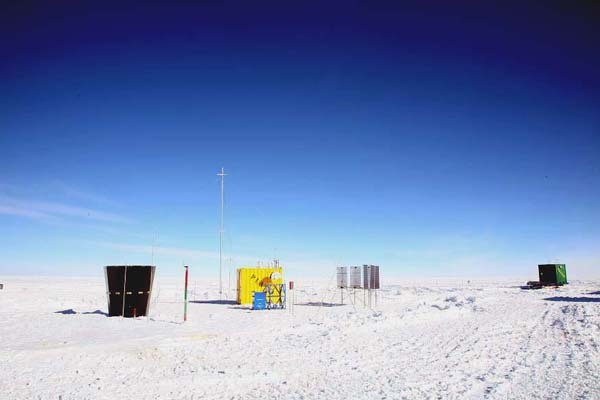 B., 2004, Submillimeter Site Testing at Dome C, Antarctica, Publications of the Astronomical Society of Australia, 21, 256–263. [A57] Dempsey, J. T., Storey, J. W. V., Ashley, M. C. B., Burton, M. G., Calisse, P. G., and Jarnyk, M. A., 2004, AFOS: probing the UV-visible potential of the Antarctic plateau, Proc. SPIE, Volume 5492, 811–821. [A56] Lawrence, J. S., Ashley, M. C., Kenyon, S., Storey, J. W., Tokovinin, A. A., Lloyd, James P., and Swain, M. R., 2004, A robotic instrument for measuring high altitude atmospheric turbulence from Dome C, Antarctica, Proc. SPIE, Volume 5489, 174–179. [A55] Ashley, M. C. B., Burton, M. G., Lawrence, J. S., and Storey, J. W. V., 2004, Robotic telescopes on the Antarctic plateau, Astron. Nachr, No.6–8, 619–625. [A54] Smith, D. A., Rykoff, E. S., Akerlof, C. W., Ashley, M. C., Bizyaev, D., McKay, T. A., Mukadam, A., Phillips, A., Quimby, R., Schaefer, B., Sullivan, D., Swan, H. F., Vestrand, W. T., Wheeler, J. C., and Wren, J., 2003, ROTSE-III Observations of the Early Afterglow from GRB 030329, Astrophysical Journal, 596, L151–154. [A53] Travouillon, T., Ashley, M. C. B., Burton, M. G., Storey, J. W. V., Conroy, P., Hovey, G., Jarnyk, M., Sutherland, R., and Loewenstein, R. F., 2003, Automated Shack-Hartmann seeing measurements at the South Pole, Astronomy & Astrophysics, 409, 1169–1173. [A52] Travouillon, T., Ashley, M. C. B., Burton, M. G., Storey, J. W. V., and Loewenstein, R. F., 2003, Atmospheric turbulence at the South Pole and its implications for astronomy, Astronomy & Astrophysics, 400, 1163–1172. [A51] Akerlof, C. W., Ashley, M. C. B., Casperson, D. E., Epps, H. W., Kehoe, R. L., Marshall, S. L., McGowan, K. E., McKay, T. A., Phillips, M. A., Rykoff, E. S., Schier, J. A., Smith, D. A., Vestrand, W. T., Wozniak, P. R., and Wren, J. A., 2003, The ROTSE-III Robotic Telescope System, Publications of the Astronomical Society of the Pacific, 115, 132–140. [A50] Smith, D. A., Akerlof, C., Ashley, M. C. B., Casperson, D., Gisler, G., Henden, A., Marshall, S., McGowan, K., McKay, T., Phillips, M. A., Rykoff, E., Shectman , S., Vestrand, W. T., and Wozniak, P., 2002, Discovery of the CV ROTSE3 J015118.59-022300.1, Information Bulletin on Variable Stars, 5226, 1. [A49] Lawrence, J. S., Ashley, M. C. B., Burton, M. G., and Storey, J. W. V., 2002, Observations of the Antarctic infrared sky spectral brightness, Proc. SPIE, Volume 4836, 176–179. [A48] Lawrence, J. S., Ashley, M. C. B., Burton, M. G., and Storey, J. W. V., 2002, Design and performance of the Douglas Mawson telescope, Proc. SPIE, Volume 4836, 129–137. [A47] Storey, J. W. V., Burton, M. G., and Ashley, M. C. B., 2002, Antarctica as a launchpad for space astronomy missions, Proc. SPIE, Volume 4835, 110–114. [A46] Lawrence, J. S., Ashley, M. C. B., Burton, M. G., Calisse, P. G., Everett, J. R., Pernic, R. J., Phillips, A., and Storey, J. W. V., 2002, Operation of the Near Infrared Sky Monitor at the South Pole, Publications of the Astronomical Society of Australia, 19, 328–336. [A45] Lazendic, J. S., Wardle, M., Burton, M. G., Yusef-Zadeh, F., Whiteoak, J. B., Green, A. J., and Ashley, M. C. B., 2002, Shocked molecular gas towards G359.1-0.5 and the Snake, MNRAS, 331, 537–544. [A44] Rathborne, J. M., Burton, M. G., Brooks, K. J., Cohen, M., Ashley, M. C. B., and Storey, J. W. V., 2002, Photodissociation regions and star formation in the Carina nebula, MNRAS, 331, 85–97. [A43] Yusef-Zadeh, F., Stolovy, S. R., Burton, M., Wardle, M., and Ashley, M. C. B., 2001, High spectral and spatial resolution HST observations of shocked molecular hydrogen at the Galactic Center, Astrophysical Journal, 560, 749–762. [A42] Burton, M. G., Storey, J. W. V., and Ashley, M. C. B., 2001, Science goals for Antarctic infrared telescopes, Publications of the Astronomical Society of Australia, 18, 158–165. [A41] Lee, J-K, Walsh, A. J., Burton, M. G., Ashley, M. C. B., and Storey, J. W. V., 2001, Discovery of molecular hydrogen line emission associated with methanol maser emission, MNRAS, 324, 1102–1108. [A40] Sheppard, S. S., Jewitt, C. A., Trujillo, C. A., Brown, M. J. I, and Ashley, M. C. B., 2000, A Wide-Field CCD Survey for Centaurs and Kuiper Belt Objects, Astronomical Journal, 120, 2687–2694. [A39] Chamberlain, M. A., Ashley, M. C. B., Burton, M. G., Phillips, A., Storey, J. W. V. and Harper, D. A., 2000, Mid-infrared observing conditions at the South Pole, Astrophysics Journal, 535, 501–511. [A38] Brooks, K. J., Burton, M. G., Rathborne, J. M., Ashley, M. C. B. and Storey, J. W. V., 2000, Unlocking the Keyhole—H2 and PAH emission from molecular clumps in the Keyhole Nebula, MNRAS, 319, 95–102. [A37] Storey, J. W. V., Ashley, M. C. B., and Burton, M. G., 2000, Novel instruments for site characterization, Proc. SPIE, Volume 4008, 1376–1382. [A36] Burton, M. G., Storey, J. W. V., and Ashley, M. C. B., 2000, Science goals for an antarctic large infrared telescope, Proc. SPIE, Volume 4005, 326–332. [A35] Burton, M. G., Ashley, M. C. B., Marks, R. D., Schinckel, A. E., Storey, J. W. V., Fowler, A., Merrill, M., Sharp, N., Gatley, I., Harper, A., Loewenstein, R., Mrozek, F., Jackson, J. and Kraemer, K., 2000, High resolution imaging of photo-dissociation regions in NGC 6334, Astrophysical Journal, 542, 359–366. [A34] Phillips, A., Burton, M. G., Ashley, M. C. B., Storey, J. W. V., Lloyd, J. P., Harper, D. A., and Bally, J., 1999, The Near-Infrared Sky Emission at the South Pole in Winter, Astrophysical Journal, 527, 1009–1022. [A33] Storey, J. W. V., Ashley, M. C. B., Boccas, M., Phillips, M. A. and Schinckel, A. E. T., 1999, Infrared sky brightness monitors for Antarctica, Publications of the Astronomical Society of the Pacific, 111, 765–771. [A32] Allen, L. E., Burton, M. G., Ryder, S. D., Ashley, M. C. B. and Storey, J. W. V., 1999, Fluorescent molecular hydrogen line in the Eagle Nebula, MNRAS, 304, 98–108. [A31] Stankov, A., Ashley, M. C. B., Breger, M., and Prouton, O., 1998, CCD photometry of the δ Scuti star FG Virginis during the 1995 multi-site campaign, Astrophysics & Space Science, 260, 281–290. [A30] Ryder, S. D., Sun, Y-S, Ashley, M. C. B., Burton, M. G., Allen, L. E., and Storey, J. W. V., 1998, UNSWIRF: A tunable imaging spectrometer for the near-infrared, Publications of the Astronomical Society of Australia, 15, 228–239. [A29] Boccas, M., Ashley, M. C. B., Phillips, A., Schinckel, A., and Storey, J. W. V., 1998, Antarctic Fiber Optic Spectrometer, Publications of the Astronomical Society of the Pacific, 110, 306–316. [A28] Allen, L. E., Ashley, M. C. B., Burton, M. G., Ryder, S. D., Storey, J. W. V., and Sun, Y-S, 1998, UNSWIRF: the University of New South Wales Infrared Fabry-Perot, Proc. SPIE, 3354, 1165–1169. [A27] Fowler, A. M., Sharp, N., Ball, W., Schinckel, A., Ashley, M., Boccas, M., Storey, J., Depoy, D., Martini, M., Harper, A., and Marks, R., 1998, ABU/SPIREX: The South Pole Thermal IR Experiment, Proc. SPIE, 3354, 1170–1178. [A26] Storey, J. W. V., Ashley, M. C. B., Burton, M. G., and Phillips, M. A., 1998, Site Conditions for Astronomy at the South Pole, Proc. SPIE, 3354, 1158–1164. [A25] Ryder, S. D., Allen, L. E., Burton, M. G., Ashley, M. C. B., and Storey, J. W. V., 1998, Molecular Hydrogen Line Emission from the Reflection Nebula Parsamyan 18, MNRAS, 294, 338–346. [A24] Davies, R. I., Forbes, D. A., Ryder, S. D., Ashley, M. C. B., Burton, M. G., Storey, J. W. V., Allen, L. E., Ward, M. J., and Norris, R. P., 1997, Near-Infrared Line and Radio Continuum Imaging of the Circinus Galaxy, MNRAS, 293, 189–196. [A23] Marks, R. D., Vernin, J., Azouit, M., Briggs, J. W., Burton, M. G., Ashley, M. C. B., and Manigault, J.-F., 1996, Antarctic site testing—microthermal measurements of surface-layer seeing at the South Pole, Astronomy & Astrophysics Supplement, 118, 385–390. [A22] Ashley, M. C. B., Burton, M. G., Storey, J. W. V., Lloyd, J. P., Bally, J., Briggs, J. W., and Harper, D. A., 1996, South Pole Observations of the Near-infrared Sky Brightness, Publications of the Astronomical Society of the Pacific, 108, 721–723. [A21] Ashley, M. C. B., Brooks, P. W. and Lloyd, J. P., 1996, Remote control of astronomical instruments via the Internet, Publications of the Astronomical Society of Australia, 13, 17–21. [A20] Burton, M. G., Ashley, M. C. B., Storey, J. W. V., Dopita, M. A., Lancon, A., Mould, J. R., Wood, P. R., Hall, P., and Duldig, M., 1996, JACARA's Plans, Publications of the Astronomical Society of Australia, 13, 33–34. [A19] Storey, J. W. V., Ashley, M. C. B. and Burton, M. G., 1996, An Automated Astrophysical Observatory for Antarctica, Publications of the Astronomical Society of Australia, 13, 35–38. [A18] Shortridge, K., Meatheringham, S. J., Carter, B. D. and Ashley, M. C. B., 1995, Making the Figaro Data Reduction System Portable, Publications of the Astronomical Society of Australia, 12, 244–247. [A17] Sun, Y-S, Ashley, M. C. B., and Storey, J. W. V., 1995, Wide-field near-infrared all-reflecting camera with Fabry-Perot for astronomy, Proc. SPIE, Volume 2552, 22–32. [A16] Ashley, M. C. B., Burton, M. G., Lloyd, J. P., and Storey, J. W. V., 1995, Near-infrared sky brightness monitor for the South Pole, Proc. SPIE, Volume 2552, 33–43. [A15] Edelson, R., Krolik, J., Madejski, G., Maraschi, L., Pike, G., Urry, C. M., Brinkman, W., Courvoisier, T. J-L, Ellithorpe, J., Horne, K., Treves, A., Wagner, S., Wamsteker, W., Warwick, R., Aller, H. D., Ashley, M. C. B., Blecha, A., Bouchet, P., Bratschi, P., Bregman, J. N., Carini, M., Celotti, A., Donahue, M., Feigelson, E., Filippenko, A. V., Fink, H., George, I., Glass, I., Heidt, J., Hewitt, J., Hughes, P., Kollgaard, R., Kondo, Y., Koratkar, A., Leighly, K., Marscher, A., Martin, P. G., Matheson, T., Miller, H. R., Noble, J. C., O'Brien, P., Pian, E., Reichert, G., Saken, J. M., Shull, J. M., Sitko, M., Smith, P. S., Sun, W-H, and Tagliaferri, G., 1995, Multi-wavelength Monitoring of the BL Lac Object PKS 2155-304. IV. Multi-wavelength Analysis, Astrophysical Journal, 438, 120–134. [A14] Storey, J. W. V., Ashley, M. C. B., Naray, M. and Lloyd, J. P., 1994, The 21cm line of atomic hydrogen, American Journal of Physics, 62, 1077–1081. [A13] Carter, B. D., Bembrick, C. S., Ashley, M. C. B. and Mitchell, P., 1994, The University of New South Wales Automated Patrol Telescope, Experimental Astronomy, 5, 81–85. [A12] Burton, M. G., Aitken, D. K., Allen, D. A., Ashley, M. C. B., Cannon, R. D., Carter, B. D., DaCosta, G. S., Dopita, M. A., Duldig, M. L., Edwards, P. G., Gillingham, P. R., Hall, P. J., Hyland, A. R., McGregor, P. J., Mould, J. R., Norris, R. P., Sadler, E. M., Smith, C. H., Spyromilio, J. and Storey, J. W. V., 1994, The scientific potential of the Antarctic Plateau for Astronomy, Proceedings of the Astronomical Society of Australia, 11, 127–150. [A11] Henderson, J., Oitmaa, J., and Ashley, M. C. B., 1992, High Temperature Expansion for the Single-Band Hubbard Model, Physical Review B, 46, 6328–6337. [A10] Sun, Y-S, Ashley, M. C. B., and Storey, J. W. V., 1992, A new infrared camera optical design, Proceedings of the Astronomical Society of Australia, 10, 137–139. [A9] Carter, B. D., Ashley, M. C. B., Sun, Y-S, and Storey, J. W. V., 1992, Redesigning a Baker-Nunn Camera for CCD Imaging, Proceedings of the Astronomical Society of Australia, 10, 74–76. [A8] Ashley, M. C. B. and Jurcevic, J. S., 1991, A Cloud Detector for Automated Telescopes, Proceedings of the Astronomical Society of Australia, 9, 334–335. [A7] Carter, B. D. and Ashley, M. C. B., 1991, A Peltier-cooled CCD Camera, Proceedings of the Astronomical Society of Australia, 9, 158–159. [A6] Ashley, M. C. B., 1990, Hα and Hβ Images of the Planetary Nebula NGC 6302, Proceedings of the Astronomical Society of Australia, 8, 360–363. [A5] Ashley, M. C. B. and Hyland, A. R., 1988, The Detection of Highly Ionized Silicon in the Planetary Nebulae NGC 6302 and NGC 6537, Astrophysical Journal, 331, 532–538. [A4] Nelson, G. J., Robinson, R. D., Slee, O. B., Ashley, M. C. B., Hyland, A. R. H., Tuohy, I., and Nikoloff, I., 1986, Simultaneous Optical, Infrared, and Microwave Observations of the Flare Star AT Mic, MNRAS, 220, 91–106. [A3] French, R. G., Melroy, P. A., Allen, D. A., Ashley, M. C. B., Baron, R. L., Dunham, E., Elliot, J. L., Erickson, E. F., Freeman, K. C., Goguen, J. D., Hammel, H. B., Meech, K. J., and Mink, D. J., 1985, The 1983 June 15 Occultation by Neptune. II. Limits on a possible ring system, Astronomical Journal, 90, 2624–2638. [A2] Elliot, J. L., Allen, D. A., Ashley, M. C. B., Baron, R. L., Dunham, E., Erickson, E. F., Freeman, K. C., French, R. G., Goguen, J. D., Hammel, H. B., Meech, K. J., and Mink, D. J., 1985, The 1983 June 15 Occultation by Neptune. I. Limits on a possible ring system, Astronomical Journal, 90, 2615–2623. [A1] Jones, T. J., Ashley, M. C. B., Hyland, A. R., and Ruelas-Mayorga, A., 1981, A search for the infrared counterpart of Type II OH/IR Masers. I: a model for the IR background source confusion, MNRAS, 197, 413–428. [B64] Storey, J. W. V., Ashley, M. C. B., Augarten, Y., Bonner, C. S., Burton, M. G., Bycroft, L. and Everett, J. R., Lawrence, J. S., Luong-Van, D., McDaid, S. and McLaren, C., Summers, G., 2012, The PLATO Robotic Antarctic observatory design and development program, Astronomical Society of India Conference Series, 7, 97. [B62] Wang, L., Angel, R., Ashley, M., Chen, X., Cui, X., Depoy, D., Feng, L., Jing, Y., Kerins, E., Lawrence, J., Macri, L., Mao, S., Moore, A., Pennypacker, C., Rattenbury, N., Riddle, R., Shang, Z., Smoot, G., Storey, J., Suntzeff, N., Travouillon, T., Yan, J., York, D., Yuan, X., Zhang, X., Zheng, W., Zhu, Z., 2009, Astronomy on Antarctic Plateau, Astro2010: The Astronomy and Astrophysics Decadal Survey, Science White Papers, No. 308. [B61] York, D. G., Wang, L., Pennypacker, C., Cui, X., Lamb, D., Khokhlov, Ashley, M., Basa, S., Blouke, M., Cui, W., Gyuk, G., Holz, D., Hammergren, M., Lawrence, J., Malina, R., Moore, A., Riddle, R., Storey, J., Travouillon, T., Wilhite, B., 2009, Time Domain Research in Astronomy, Astro2010: The Astronomy and Astrophysics Decadal Survey, Science White Papers, No. 329. [B60] Epchtein, N., Abe, L., Ansorge, W., Langlois, M., Vauglin, I., Argentini, S., Esau, I., David, C., Bryson, I., Dalton, G., Ashley, M. C. B., Lawrence, J. S. , 2011, A project for an infrared synoptic survey from Antarctica with the Polar Large Telescope (PLT), SF2A-2011: Proceedings of the Annual meeting of the French Society of Astronomy and Astrophysics Eds. : G. Alecian, K. Belkacem, R. Samadi and D. Valls-Gabaud, pp.107-110, 107–110. [B53] Storey, J. W. V., Ashley, M. C. B., Lawrence, J. S. , 2009, How We Can Understand the Antarctic Atmosphere?, Proceedings of the Optical Turbulence Characterization for Astronomical Applications Sardinia, Italy, 15 - 18 September 2008, edited by Elena Masciadri (Instituto Nazionale di Astrofisica, Italy) & Marc Sarazin (European Southern Observatory, Germany), pp.82–89. [B52] Bonner, C. S., Ashley, M. C. B., Lawrence, J. S., Luong-van, D. M., Storey, J. W. V., 2009, SNODAR II: Probing the Atmospheric Boundary Layer on the Antarctic Plateau, Proceedings of the Optical Turbulence Characterization for Astronomical Applications Sardinia, Italy, 15 - 18 September 2008, edited by Elena Masciadri (Instituto Nazionale di Astrofisica, Italy) & Marc Sarazin (European Southern Observatory, Germany), pp.264–270. [B46] Storey, J. W. V., Lawrence, J. S., Ashley, M. C. B. , 2007, Site-testing in Antarctica, Revista Mexicana de Astronomia y Astrofisica Conference Series, 31, 25–29. [B45] Christiansen, J. L., Hidas, M. G., Ashley, M. C. B., Webb, J. K., Hamacher, D., Young, T., Lopez-Morales, M. , 2007, Byproducts of the University of New South Wales Extrasolar Planet Search, Transiting Extrasolar Planets Workshop, 366, 102–+. [B44] Hidas, M. G., Webb, J. K., Ashley, M. C. B., Phillips, M. A., Christiansen, J. L., Hamacher, D., Curran, S. J., Irwin, M., Aigrain, S., Irwin, J. , 2007, The University of New South Wales Extrasolar Planet Search, Transiting Extrasolar Planets Workshop, 366, 45–+. [B43] Storey, J. W. V., Ashley, M. C. B., Burton, M. G., and Lawrence, J. S., 2007, PILOT—the Pathfinder for an International Large Optical Telescope,, Proceedings of the 1st ARENA Conference (Eds. N. Epchtein, M. Candidi & M. Swain), EAS Publications Series, 25, 255–259. [B42] Moore, A., Aristidi, E., Ashley, M., Briguglio, R., Busso, M., Candidi, M., Everett, J., Kenyon, S., Lawrence, J., Le Roux, B., Luong-Van, D., Phillips, A., Ragazzoni, R., Salinari, P., Storey, J., Taylor, M., Tosti G., and Travouillon, T., 2007, The Gattini Cameras for optical sky brightness measurements at Dome C, Antarctica, Proceedings of the 1st ARENA Conference (Eds. N. Epchtein, M. Candidi & M. Swain), EAS Publications Series, 25, 35–41. [B41] Lawrence, J. S., Ashley, M. C. B., Bonner, C. S., Bradley, S., Luong-Van D., and Storey, J. W. V., 2007, Characterisation of the Dome C atmospheric boundary layer with a non-Doppler acoustic radar, Proceedings of the 1st ARENA Conference (Eds. N. Epchtein, M. Candidi & M. Swain), EAS Publications Series, 31–34. [B40] Storey, J. W. V., Ashley, M. C. B., Burton, M. G., and Lawrence, J. S., 2006, What a really big Antarctic telescope could achieve, Visions for Infrared Astronomy, Revue des Systemes RS serie I2M (Eds. V. Coude du Foresto, D. Ruan & G. Rousset), 6, 61–66. [B39] Yost, S. A., Rykoff, E. S., Aharonian, F. A., Akerlof, C. W., Ashley, M. C., Barthelmy, S. D., Gehrels, N., Göğüş, E., Güver, T., Horns, D., Kızıloğlu, Ü., Krimm, H. A., McKay, T. A., Mirabal, N., Özel, M., Phillips, M. A., Quimby, R. M., Rowell, G., Rujopakarn, W., Schaefer, B. E., Smith, D. A., Swan, H. F., Vestrand, W. T., Wheeler, J. C., Wren, J., and Yuan, F., 2006, ROTSE-III Performance in the Swift Era, Gamma-Ray Bursts in the Swift Era, Sixteenth Maryland Astrophysics Conference, held 29 November–2 December, 2005 in Washington, DC. Edited by S.S. Holt, N. Gehrels, and J.A. Nousek. AIP Conference Proceedings, Vol. 838. Melville, NY: American Institute of Physics, pp.349–352. [B36] Derekas, A., Kiss, L. L., Csak, B., Griffin, J., Lindstrom, C., Meszaros, Sz., Szekely, P., Ashley, M. C. B., and Bedding, T. R., 2006, Binarity and multiperiodicity in high-amplitude delta Scuti stars, Memorie della Societa Astronomica Italiana, 77, 517–518. [B35] Storey, J. W. V., Ashley, M. C. B., Burton, M. G., and Lawrence, J. S., 2005, Automated Site Testing from Antarctica, EAS Publications Series, Volume 14, 2005, pp.7–12. [B34] Ashley, M. C. B., Lawrence, J. S., Storey, J. W. V., and Tokovinin, A., 2005, Mass seeing measurements from Dome C, EAS Publications Series, Volume 14, 2005, pp.19–24. [B33] Lawrence, J. S., Burton, M. G., Ashley, M. C. B., and Storey, J. W. V., 2005, Pathfinder for an International Large Optical Telescope, EAS Publications Series, Volume 14, 2005, pp.321–324. [B32] Lawrence, J. S., Ashley, M. C. B., Burton, M. G., Lloyd, J. P., and Storey, J. W. V., 2005, The Unique Antarctic Atmosphere: Implications for Adaptive Optics, Science with Adaptive Optics, Proceedings of the ESO Workshop Held at Garching, Germany, 16–19 September 2003. Edited by W. Brandner and M. E. Kasper, pp.111–116. [B31] Storey, J. W. V., Ashley, M. C. B., Burton, M. G., and Lawrence, J. S., 2005, Beyond Dome C, Highlights of Astronomy, ASP Conference Series, 13, (Eds. Engvold, O, and Burton, M. G.), 955–956. [B30] Ashley, M. C. B., Burton, M. G., Calisse, P. G., Phillips, A., and Storey, J. W. V., 2005, Site testing at Dome C—cloud statistics from the ICECAM experiment, Highlights of Astronomy, ASP Conference Series, 13, (Eds. Engvold, O, and Burton, M. G.), 936–938. [B28] Storey, J. W. V., Calisse, P. G., Ashley, M. C. B., Burton, M. G., Lawrence, J. S., Travouillon, T., Phillips, M. A., Radford, S. J. E., and Peterson, J. B., 2004, Dome C, Antarctica: The Best Accessible Sub-millimetre Site on the Planet?, Springer Proceedings in Physics, Vol. 91. Berlin, Heidelberg: Springer, 2004, p.353. [B26] Martin, S., Alonso, R., Rodriguez, E., Ashley, M., Hidas, M., Kim, S.-L., Jeon, Y.-B., Akan, C., Poretti, E., Irwin, M., de Ugarte, A., Bossi, M., Zerbi, F. M., Suirez, J. C., and Hintz, E. G., 2004, Summer 2002 photometric multisite campaign on the open cluster NGC 6633, in: Second Eddington Workshop: Stellar structure and habitable planet finding, 9 - 11 April 2003, Palermo, Italy. Edited by F. Favata, S. Aigrain and A. Wilson. ESA SP-538, Noordwijk: ESA Publications Division, ISBN 92-9092-848-4, 349–353. [B25] Hidas, M. G., Webb, J. K., Ashley, M. C. B., Lineweaver, C. H., Anderson, J., and Irwin, M., 2004, Searching for Extrasolar Planets Using Transits, Proceedings of IAU Symposium 213. Edited by R. Norris, and F. Stootman. San Francisco: Astronomical Society of the Pacific, p.77. [B24] Caldwell, D. A., Borucki, W. J., Showen, R. L., Jenkins, J. M., Doyle, L., Ninkov, Z., and Ashley, M., 2004, Detecting Extrasolar Planet Transits from the South Pole, Proceedings of IAU Symposium 213. Edited by R. Norris, and F. Stootman. San Francisco: Astronomical Society of the Pacific, p.93. [B23] Lawrence, J. S., Ashley, M. C. B., Burton, M. G., Calisse, P. G., Dempsey, J. T., Everett, J. R., Mather, O., Storey, J. W. V., and Travoullion, T., 2003, The AASTINO: Automated Astrophysical Site Testing International Observatory, in: Proceedings of the Conference on Towards Other Earths: DARWIN/TPF and the Search for Extrasolar Terrestrial Planets, 22–25 April 2003, Heidelberg, Germany. Edited by M. Fridlund, T. Henning, compiled by H. Lacoste. ESA SP-539, Noordwijk, Netherlands: ESA Publications Division, ISBN 92-9092-849-2, 497–501. [B22] Storey, J. W. V., Ashley, M. C. B., Burton, M. G., and Lawrence, J. S., 2003, The Antarctic plateau: what it offers as a testbed for space, in: Proceedings of the Conference on Towards Other Earths: DARWIN/TPF and the Search for Extrasolar Terrestrial Planets, 22–25 April 2003, Heidelberg, Germany. Edited by M. Fridlund, T. Henning, compiled by H. Lacoste. ESA SP-539, Noordwijk, Netherlands: ESA Publications Division, ISBN 92-9092-849-2, 621–623. [B21] Hidas, M. G., Webb, J. K., Ashley, M. C. B., Hunt, M., Anderson, J., and Irwin, M., 2003, A Transit Search for ExtrasolarPlanets with the 0.5m Automated Patrol Telescope, The Proceedings of the IAU 8th Asian-Pacific Regional Meeting, Eds. S. Ikeuchi, J. Hearnshaw, T. Hanawa. 65–68. [B20] Hidas, M. G., Webb, J. K., Ashley, M. C. B., Lineweaver, C. H., Anderson, J., and Irwin, M., 2003, An Automated Search for Extrasolar Planet Transits, ASP Conf. Ser. Vol. 294, Scientific Frontiers in Research on Extrasolar Planets, ed. D. Deming & S Seager, 383–386. [B19] Salvo, M. E., Schmidt, B. P., Ashley, M. C. B., and Phillips, A., 2003, Looking for supernovae in the southern sky, Memorie della Societa Astronomica Italiana, 74, 953. [B18] Lawrence, J. S., Ashley, M. C. B., Burton, M. G., Calisse, P. G., Dempsey, J. T., Everett, J. R., Maher, O., Storey, J. W. V., and Travouillon, T., 2003, The AASTINO: Automated Astrophysical Site Testing INvincible Observatory, Memorie della Societa Astronomica Italiana Supplement, 2, 217–220. [B17] Lawrence, J. S., Ashley, M. C. B., Burton, M. G., and Storey, J. W. V., 2003, Australian plans at Concordia, Memorie della Societa Astronomica Italiana Supplement, 2, 88–91. [B16] Dempsey, J. T., Storey, J. W. V., and Ashley, M. C. B., 2003, COBBER: A Pocket Cloud Detector for Dome C, Memorie della Societa Astronomica Italiana Supplement, 2, 70–73. [B15] Travouillon, T, Ashley, M. C. B., Burton, M. G., Lawrence, J. S., and Storey, J. W. V., 2003, Low atmosphere turbulence at Dome C—preliminary results, Memorie della Societa Astronomica Italiana Supplement, 2, 150. [B14] Storey, J. W. V., Ashley, M. C. B., Lawrence, J. S., and Burton, M. G., 2003, Dome C—the best astronomical site in the world?, Memorie della Societa Astronomica Italiana Supplement, 2, 13–18. [B13] Smith, D., Akerlof, C., Ashley, M. C. B., Casperson, D., Gisler, G., Kehoe, R., Marshall, S., McGowan, K., McKay, T., Phillips, M. A., Rykoff, E., Vestrand, W. T., Wozniak, P., and Wren, J., 2003, The ROTSE-IIIa Telescope System, AIP Conference Proceedings, 662, 514–516. [B12] Travouillon, T., Ashley, M. C. B., Burton, M. G., Calisse, P. G., Everett, J. R., Lawrence, J. S., and Storey, J. W. V., 2002, Some Antarctic Site Testing Results, SF2A-2002: Semaine de l'Astrophysique Francaise, meeting held in Paris, France, June 24-29, 2002, Eds. : F. Combes and D. Barret, EdP-Sciences (Editions de Physique), Conference Series, p. 19. [B11] Smith, D. A., Akerlof, C., McKay, T., Rykoff, E., Casperson, D., Gisler, G., Mc Gowan, K., Vestrand, W. T., Wozniak, P., Wren, J., Marshall, S., Ashley, M. C. B., Phillips, M. A., Aharonian, F., Horns, D., and Voelk, H., 2002, Tracking Celestial Explosions: The World-Wide ROTSE-III Network, Bulletin of the American Astronomical Society, 34, 670. [B10] Storey, J. W. V., Ashley, M. C. B., and Burton, M. G., 2002, Antarctic site testing, in Astronomical site testing in the visible and radio range, ASP Conf. Series, Vol 266, Eds. J. Vernin, Z. Benkhaldoun, & C. Munoz-Tunon, pp.524–531. [B9] Smith, D., Akerlof, C., Ashley, M. C. B., Casperson, D., Gisler, G., Kehoe, R., Marshall, S., McGowan, K., McKay, T., Phillips, M. A., Rykoff, E., Vestrand, W. T., Wozniak, P., and Wren, J., 2001, The ROTSE-IIIa Telescope System, Gamma-ray burst and afterglow astronomy 2001: A Workshop Celebrating the First Year of the HETE Mission. AIP Conference Proceedings, 662, 514–516. [B8] Jackson, J. M., Kraemer, K. E., Gatley, I. Fowler, A., Merrill, K. M., Sharp, N., Evans, R., Harper, D. A., Loewenstein, R. F., Mrozek, F., Marks, R., Ashley, M. C. B., Burton, M. G., and Storey, J. W. V., 1999, First Results from Abu on SPIREX: Wide-Field Imaging of NGC 6334, Bulletin of the American Astronomical Society, 194, 7117. [B6] Burton, M. G., Storey, J. W. V., and Ashley, M. C. B., 1998, Looking deep from the South Pole: star formation in the thermal infrared, Proc. ESO Workshop on Looking Deep in the Southern Sky, p201–210, ESO Astrophysics Symposium, Sydney, Australia, 10–12 December 1997, Editors R. Morganti and W. Couch. [B5] Storey, J. W. V., Burton, M. G., and Ashley, M. C. B., 1998, Antarctic astronomy—its potential importance for research into the interstellar medium, The Physics and Chemistry of the Interstellar Medium, pp.440–443. Proceedings of the 3rd Cologne-Zermatt Symposium, held in Zermatt, September 22–25, 1998, Ed. : V. Ossenkopf Shaker-Verlag Aachen. [B4] Grossan, B., Perlmutter, S., and Ashley, M. C. B., 1998, A Search for Gamma-Ray Burst Optical Emission with the Automated Patrol Telescope, in Gamma-Ray Bursts, 4th Huntsville Symposium, Eds. Meegan, C. A., Preece, R. D., and Koshut, T. M. (New York: AIP), 909–913. [B3] Ashley, M. C. B., 1998, The near-IR and mid-IR sky background at the South Pole, Astronomical Society of the Pacific conference series, 141, 285–288, Proc. ASP Meeting, Chicago 30 June–2 July 1997 Eds. G. Novak and R.H. Landsberg. [B2] Allen, L. E., Ashley, M. C. B., Ryder, S., Storey, J. W. V., Sun, Y--S, and Burton, M. G., 1997, IR Fabry-Perot imaging of NGC 3132, in IAU Symposium 180: Planetary Nebulae (Dordrecht: Kluwer), p205, ed. H. Habing and H. Lamers. [B1] Carter, B. D., Ashley, M. C. B., Bembrick, C. S., Brooks, P. W., Mitchell, P., and Storey, J. W. V., 1995, Astronomy with the Automated Patrol Telescope, IAU Colloquium 148, 7–11 March 1994, Bandung, Indonesia, editors Chapman, J., Cannon, R., Harrison, S., and Hidayat, B., ASP Conference Series, 84, 44–47.